The Chili’s chain of restaurants suffered a data breach that might have exposed the information of its customer’s debit and credit cards. Brinker International, based in Dallas, Texas operates more than 1,600 Chili’s restaurants worldwide and said that some of its restaurants in the chain were involved in the data breach, which they believe took place between March of 2018 and April of 2018. In a prepared statement, the business said that the breach was discovered May 11 and might have resulted in the unauthorized access of data relating to customer payments cards. It remains unknown as to how many of the restaurant chain’s customers were involved. According to a spokesperson for Chili’s malware is what hackers used to locate debit and credit card numbers as well as names of cardholders from the restaurants point of sale or PoS systems for purchases in restaurants. It is believed that no other type of information was involved in the recent data breach. Chili’s added that immediately upon finding out about the breach, the company response plan was activated. The company added it did not have any reason to believe any risk was involved for customer to use their debit and credit cards at the restaurant chain now that the incident has been fully contained. 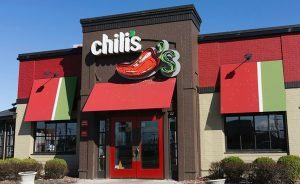 As it has only been a couple of days since this data breach was discovered, Chili’s is not sure yet how long the data was being stolen by the malware. However, Chili’s is working with a cyberforensic company to determine the full extent of the recent breach and promised to give an update to its customers when they know more. Chili’s added that law enforcement in the U.S. was notified and that the company sincerely apologizes to all those who might have been affected ensuring that it would work to resolve the incident as quickly as possible. Customers were asked to maintain an eye on their personal credit reports and to notify all the pertinent agencies if any suspicious activity it noticed. An announcement online was made last week that a new source code for PoS malware had been leaked and that release could result in a big wave of malware targeting the retail, hotels and restaurants.